It’s not a typo. 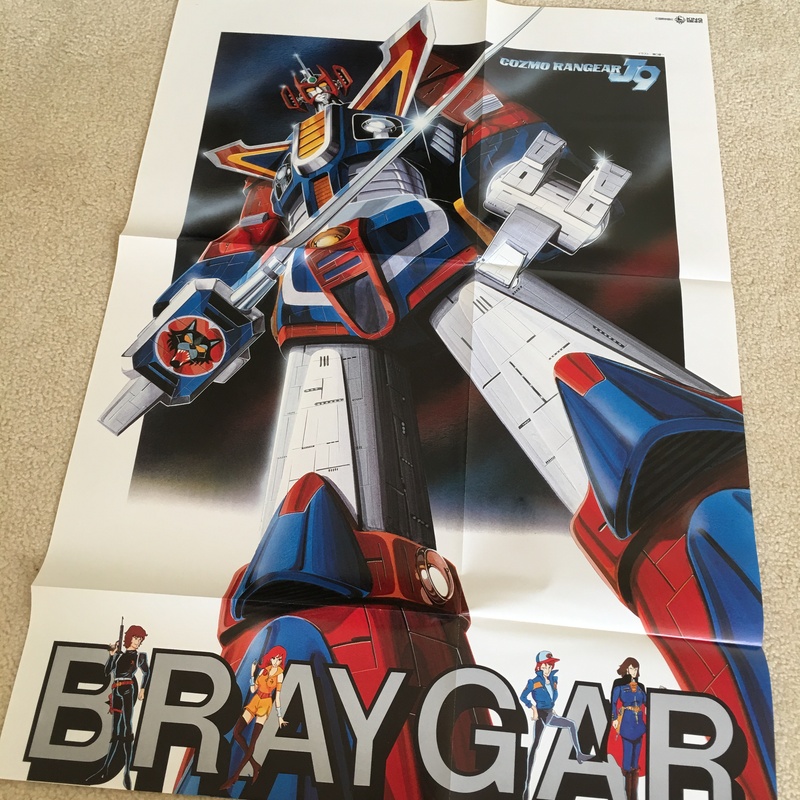 The album title was written as “Cozmo Rangear”. Let’s all believe that there were some hidden messages behind it. For all of you citizen astronomers, the next time you use your telescope to peek into the sky, if you see a flying car, it could be Braiger. The first of the J9 series, Braiger. My childhood cohorts agreed that he had some sort of moustache, thus obtaining status as the oldest of the J9 robots. Baxinger, while also sporting a moustache look-a-like, didn’t get the honour, and also because he was just a motor bike. Sasuraiger, the youngest one, was a train, so we all kinda worshipped him, like nowadays toddler adored Thomas the Steam Engine. 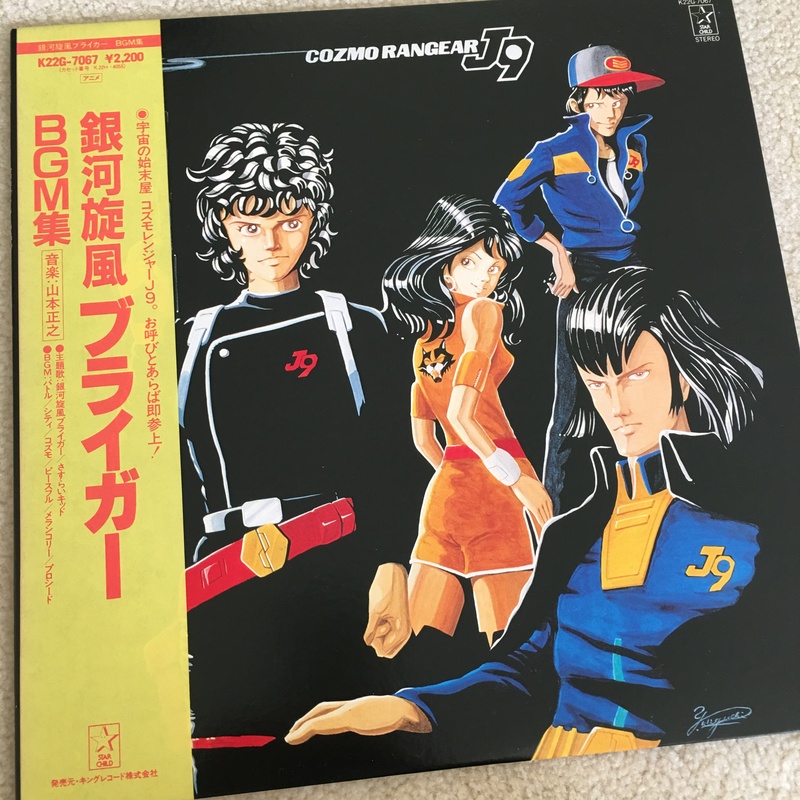 J9 series, in my adult opinion, was one of those series with brilliant musical scores behind it. Not only if you’re into rock and roll and blues, but generally great compositions for everyone to enjoy. This King Record LP proofed that right. Cozmo Rangear had six brilliant parts, three on each side. Will you be asleep before side-1 ends? No, you would want to listen all from the whole J9 series afterwards. Here, a short sample. I’ll save the best for Sasuraiger next time.